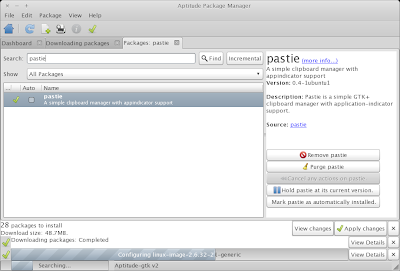 For some reason, the Aptitude version in Ubuntu 10.04 is 0.4.11 while Aptitude already reached version 0.6.2.1. The most important feature which misses from Ubuntu is Aptitude GTK - a GUI for Aptitude. Note: the commands above use apt-get and not aptitude as one would expect for a post about aptitude because Ubuntu 10.10 won't come with Aptitude by default.